When you hear that a house is made of cardboard, you might imagine a child’s playhouse or an emergency pop-up shelter not meant for permanent use. The material seems far too disposable and soft to actually form the basis of an entire residence, providing the structural integrity it needs to stand up to the stresses of weather and time. 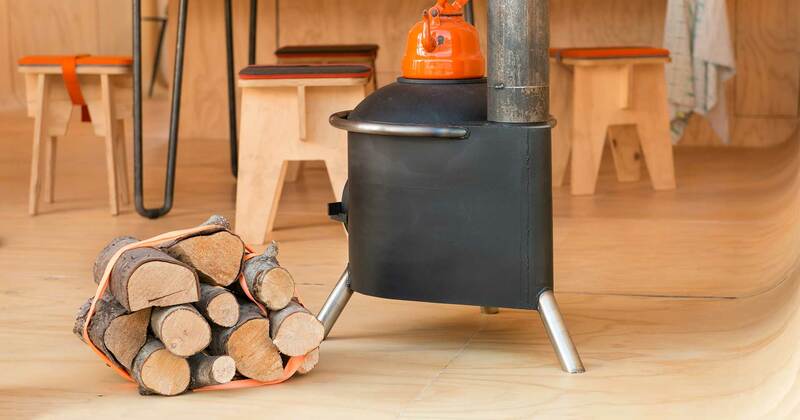 But the Wikkelhouse asks you to take another look at this surprisingly versatile and durable material. 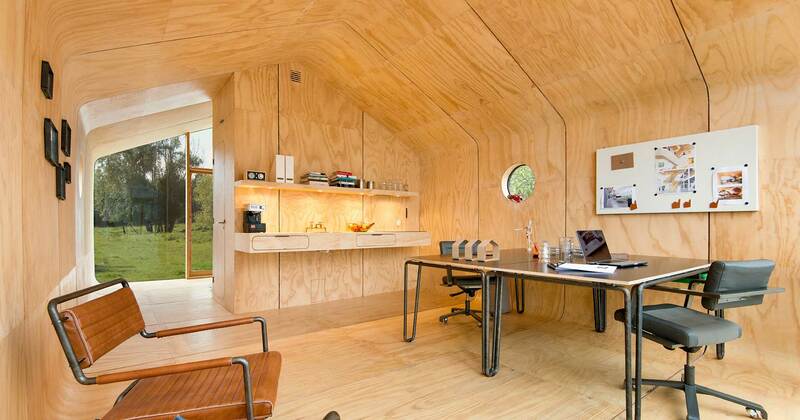 In fact, the creators say that this tiny house will last at least 100 years. Envisioned as a vacation getaway with a minimalist interior, the Wikkelhouse is modular, with 3.9-foot-deep sections in the archetypal shape of a house connecting into a customizable whole. Each module consists of 24 layers of high-quality corrugated cardboard, wrapped and glued around a form. 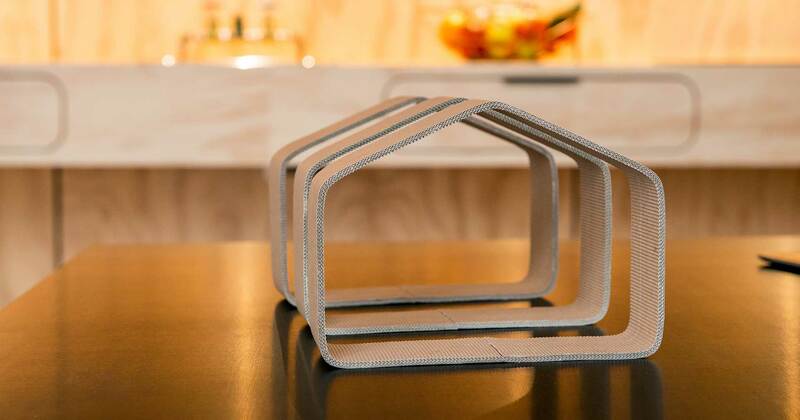 “Wikkelhouse is what you get when an everyday material finds a groundbreaking purpose,” says Fiction Factory, the company that manufactures the home. 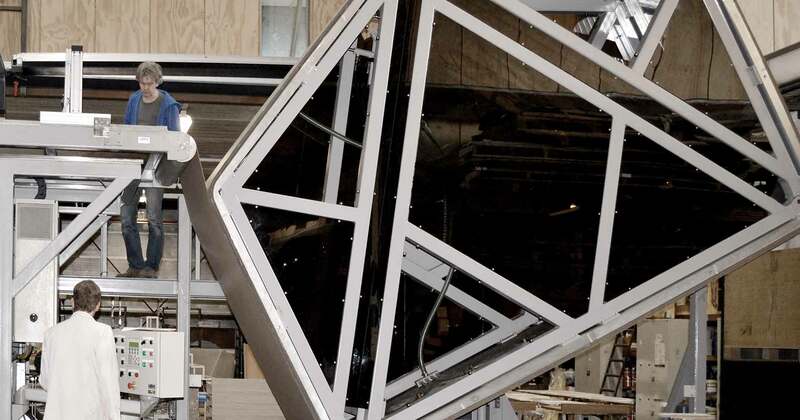 They spent four years in research and development to pioneer a new construction technology involving a rotating house-shaped mold to create each module. Once the layers are all glued together, the structure is incredibly strong, with optimal insulation properties. The buyer decides how many modules go into the home, how they’re arranged, and what materials are used to finish them. You can create your own floorpan and even change it when you feel like it. 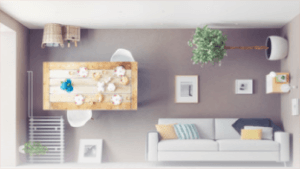 ‘Smart home segments’ add kitchen and bathroom elements wherever they’re desired, as well as shelves and cabinets. 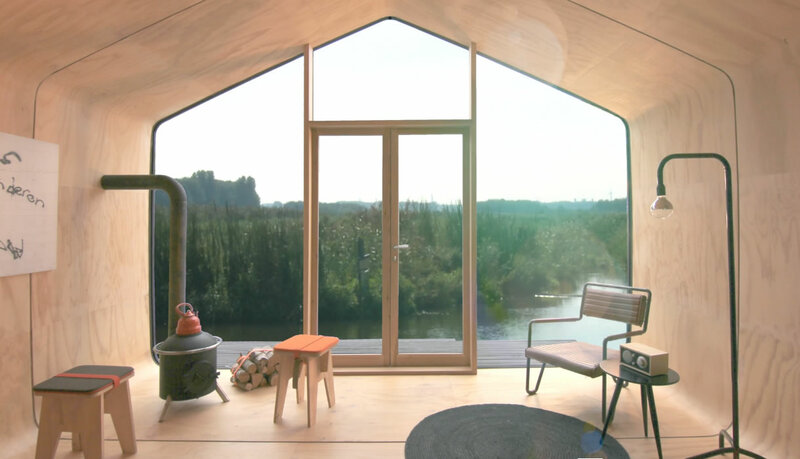 Since it’s mostly composed of materials that have minimal impact on the environment, the Wikkelhouse is three times more eco-friendly than traditional housing, according to the manufacturers. The segments can be reused over and over again, and are 100% recyclable. 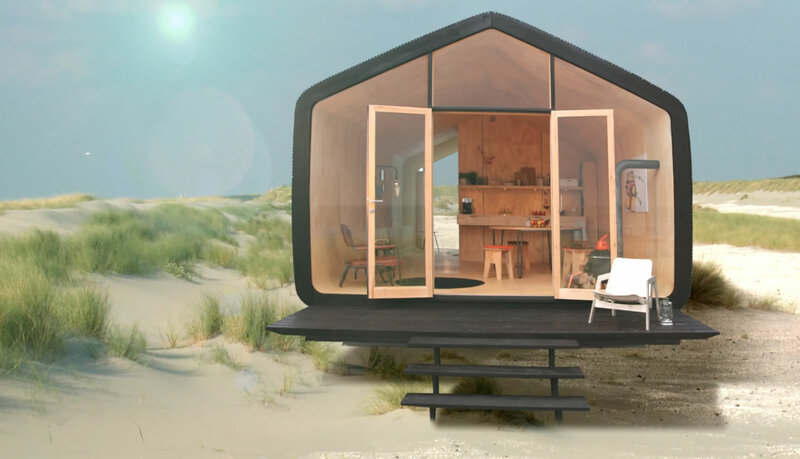 Built in a workshop in Amsterdam, the segments are then transported to the location of your choice and connected on the spot, with the whole house constructed in just a single day. There is no need for a foundation, since the house weighs just 1,102 pounds per module. Each house is finished with waterproofed wood paneling to protect it from the weather, and the end walls can be solid or made entirely of glass to bring in natural light and enable views of your chosen surroundings. Perhaps the coolest part is that when you want to move, you don’t have to leave your house behind – it can simply be loaded up on a truck and transported to your next destination.